Open gyms will be starting up on Tuesday, October 23rd and will be running every Tuesday and Thursday from 3-4 PM until the start of our season on Tuesday, November 13th. Anyone wanting to participate must have their Participation Form and Physical Form (9th & 11th Graders) turned into the Athletic Office. Last Friday and Saturday, Aidan Lybarger (106) and Marlon Barrios (195) competed at the Oregon State Wrestling Tournament at the Memorial Coliseum in Portland. Both Aidan and Marlon competed well and represented Mountainside well! Each won two matches, both by fall! It was a great weekend and we look forward to sending both back to state next season along with other qualifiers next season! The Mavericks placed 5 Wrestlers at last Saturday’s tournament at Putnam and finished 6th as a team out of 13 teams. This week we wrap up our season at the District Meet at Southridge on Friday and Saturday. Wrestling starts at 2:00 PM on Friday and 10:00 AM on Saturday. On Saturday, the Mavs took 4th Place out of 9 Teams at the Tigard Tournament. It was another great day of Wrestling as we wrestled well as a team! We had 10 Individual Placers at the Tournament and One Champion in Marlon Barrios! Aidan Lybarger 5th @106; Alex Wessleman 2nd @113; Sam Balderston 2nd @120; Tim Vranizan 3rd @120; Jonathan Flores 6th @132; Aiden Pacino 4th @145; Ramtin Yazdani 4th @152; Anthony Peralez 6th @160; Marlon Barrios 1st @195; Jacob Yasson 4th @220. On Saturday we competed at the Southridge Tournament and finished 4th out of 11 teams and had 10 Individual Placers. We are very proud of our Wrestlers, they have all been working hard in the practice room, and they put it on display both Thursday and Saturday in their performances! 195: Marlon Barrios 1st – First Tournament Championship! Last Thursday Night, the Mountainside Wrestling team hosted Sunset and Southridge for a Double Dual. 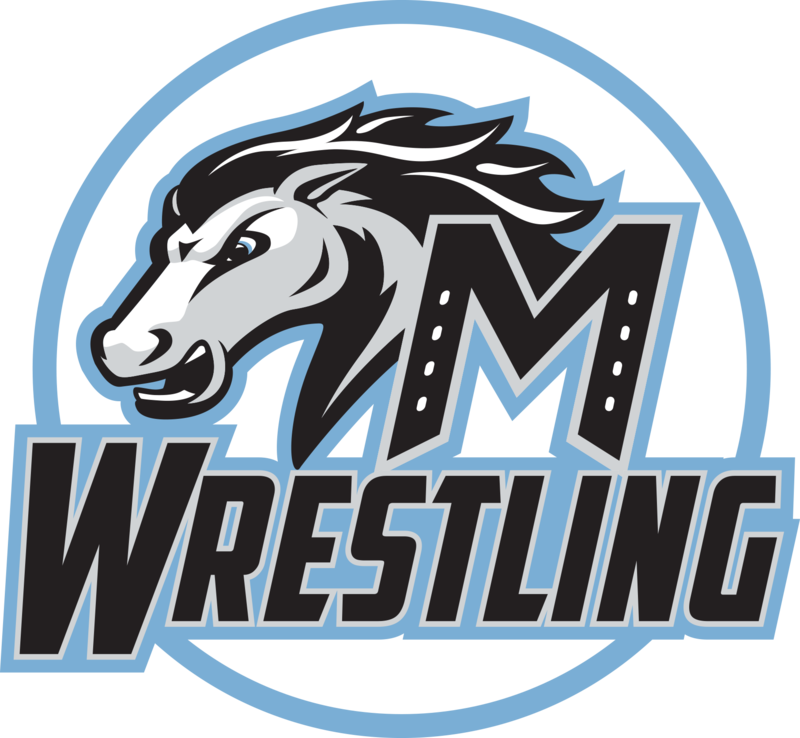 The Mavericks were victorious in both matches, earning their first and second Metro League Varsity Wrestling Victories in School History! On Saturday the Mav’s placed 7 Varsity Wrestlers in the Bill Geister Wrestling Tournament at Clackamas High School. Along with the 7 Varsity Placers we also had two Wrestlers win their JV Bracket. This week we take on Sunset and Southridge at Home Thursday Night with competition starting at 5 PM and then travel to Southridge on Saturday for the Southridge Tournament starting at 10 AM. On Friday, the Mavs competed at the Tim Patrick Invitational at Milwaukie High School. As a team we finished 4th out of 9 teams, close behind the 3rd place team. We again continued to compete in each and every match and we ended up with 10 Placers and our first ever Champion! Aidan Lybarger 1st @106; Ayden Quintinilla 5th @113; Alex Wessleman 3rd @113; Sam Balderston 5th @126; Jonathan Flores 2nd @132; Blake Allen 6th @132; Aiden Pacino 3rd @145; Ramtin Yazdani 3rd @152; Nick Calhoun 3rd @160; and Marlon Barrios 4th @195. Aidan Lybarger 3rd @ 106; Ayden Quintanilla 6th @113; Jacob Eagle 4th @ 126; Jonathan Flores 5th @ 132; Aiden Pacino 4th @ 145; Ramtin Yazdini 6th @ 160; Marlon Barrios 3rd @ 195; and Marco Navarro 4th @ 285. Open Gym will be starting this week for any High Schoolers that are wanting to get a jump start on the season. We will be working on Tuesday Oct. 31st and Thursday Nov. 2nd from 3-4. Meet in the Wrestling Room and bring Running Shoes!